1. Suffer from FOMO? Then hurry to join in our Posh. Pin. Win. Summer Style Pinterest Sweepstakes. You have until 11:59 am, Monday, June 9 to enter for a chance to win a $500 Poshmark Shopping Spree. Enter at sweeps.piqora.com/poshpinwin. Already entered? Follow us on Pinterest and stalk our Summer Style board so you’ll be all set for fashionable fun this season. Ready, set, pin! 2. Want another shot at a $250 Posh Shopping Spree? Join in the fun of our Living #ThePoshLife June Photo-A-Day Instagram Challenge. We’ve been snapping selfies, outfits, words of wisdom and it’s only just beginning. Entering is easy, click here for details. Cheers to #ThePoshLife! “If you’re selling designer clothing, look no further than Poshmark.” – CNET News. 4. Our cooler than cool co-founders, Manish and Tracy, took the stage at the Glazed Conference at Wearable World to talk all things fashion, tech and beyond. 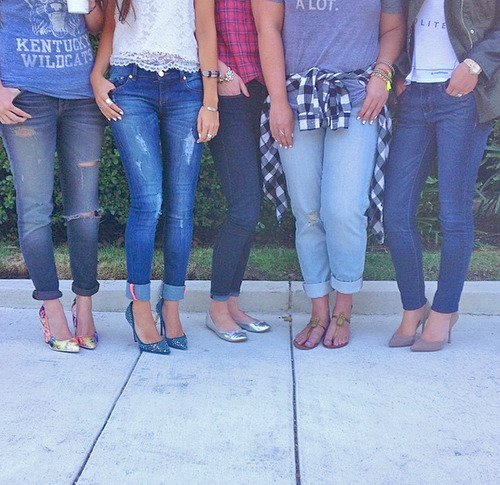 We are always inspired to see how the industry is growing and how Poshmark is part of shaping it! 5. Speaking of “glazed”… Happy National Donut Day! We’re bringing you two calorie-free ways to celebrate. First, with some cute balloons that can be found in our Smile File Pinterest board (spoiler alert: you’ll also find many a baby animal there as well). 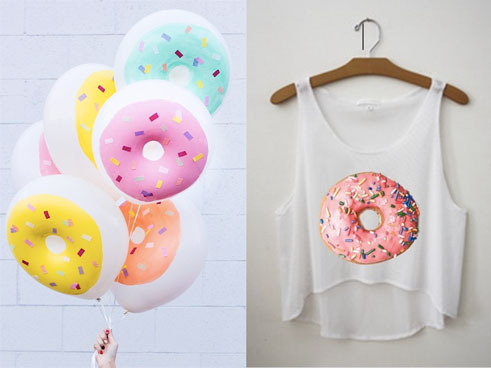 Secondly, we’re loving this donut cropped tank from Tai’s closet.